When the Institute for Creation Research was founded in 1970, few organizations existed that focused on science and how it relates to Scripture. Back then, face-to-face presentations were the only practical way to communicate our message, and progress was slow at first. But the Lord blessed us, and our ministry grew as Christians began to understand evolution’s deception and the vital necessity of ICR’s work in defending the faith. 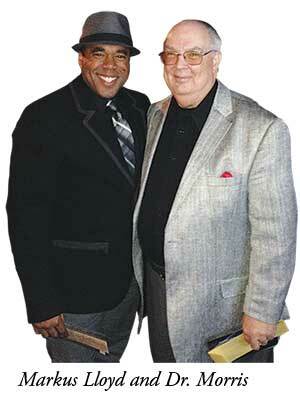 God has wonderfully increased ICR’s impact in the decades since. 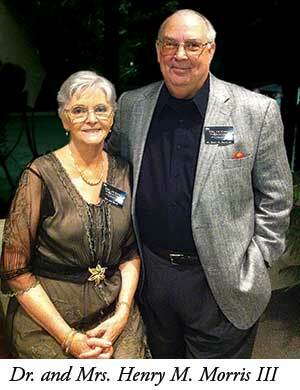 What began as a simple speaking ministry has expanded into a comprehensive outreach enterprise that includes conferences, seminars, online graduate school programs, books, radio broadcasts, and free publications like Acts & Facts and Days of Praise. ICR has seen remarkable growth in our online ministries especially, and we now reach millions of people each year through videos, social media, and web news commentary on today’s hottest science topics. This rise has been largely attributed to the millennials, today’s generation of young adults. Having grown up online, they think and respond much differently than previous generations. Now, smartphones have put the entire media spectrum in the palms of their hands—and have forever changed the way they learn and interact. Traditional communication methods, while still very important, are simply not effective in reaching them. Today’s young adults expect more. ICR recognized we must meet them where they are, and we have been quietly working on a high-quality DVD series designed to engage millennials. After a year in production, the first episode was finally ready. It was time to put on a show! 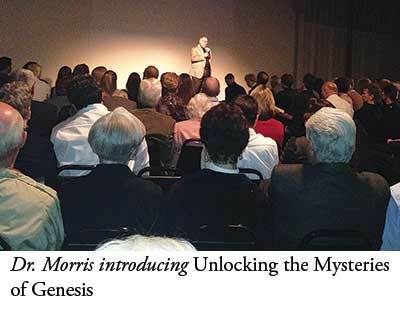 On a beautiful evening this past November, ICR threw open its doors to nearly 300 guests for a private screening of Episode One of Unlocking the Mysteries of Genesis. 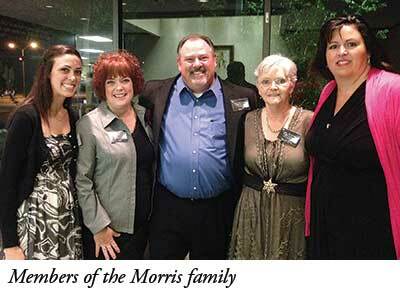 As guests arrived at ICR’s Dallas campus, they were treated to complimentary valet parking, personally welcomed by members of the Morris family, and ushered into ICR’s main building to begin a guided tour of the facilities. Our scientists and staff, stationed throughout the complex, provided visitors with a fascinating look at the work that goes on behind the scenes at the ministry. Beginning with our “Men of Science, Men of God” exhibit, guests were reminded that many of the founding fathers of science were Christian creationists. The research exhibit on the Mount St. Helens eruptions illustrated the mountain’s nickname of “creationist playground,” revealing the strong scientific evidence it provides in support of the global Flood. Visitors also had the chance to review renderings of The Museum of Origins and Earth History, the creation science museum we hope to build on our campus one day to showcase our research. The tour continued with our famous “fossil walk,” offering a captivating, up-close look at pristine fossils that show evidence for the Bible’s accuracy. Our collection—a magnificent five-foot-long mosasaur skull (from a 45-foot-long marine reptile), our extremely rare and nearly complete juvenile hadrosaur (duck-billed dinosaur), and a fossilized gar fish that shows absolutely no evolutionary change from those you can still catch today—was on display for guests to view. Visitors were especially excited to learn that carbon-14 testing on ICR’s partially fossilized paddlefish confirms that it is only thousands—not millions—of years old! Similar carbon-14 testing is planned for several other specimens in our collection. The tour then proceeded through the laboratory, library, and classrooms in our research and education building. Informative displays of current ICR projects lined the hallways, and our scientists and education staff were on hand to discuss ongoing research and answer questions as patrons made their way toward the final destination of the evening. ICR’s distribution center serves as the true “business end” of our ministry, so this was a fitting area for visitors to congregate in and fellowship over light refreshments. Many were impressed by the size of this new facility that the Lord blessed us with last year—paid for in full with no debt that might hinder future ministry. And while they waited for the main event, guests were delighted to examine an intricate nine-foot model of Noah’s Ark currently under construction by ICR employee Ernie Carrasco. Finally, the doors were thrown open, guests were escorted to their seats, and Dr. Henry Morris III, ICR’s CEO, took the stage to thank everyone for coming and briefly introduce the episode. Then the lights were dimmed and the screen was illuminated. The show was about to begin! Over the next 22 minutes, guests were fascinated by the high-definition sights and sounds of “Chaos or Creation?” the first episode of the Unlocking the Mysteries of Genesis DVD series. Did life originate by chance through random evolutionary processes? Or does the evidence indicate purposeful design? Using stunning visuals and solid science—with a little humor thrown in along the way—episode host Markus Lloyd masterfully leads the viewer through a series of thought-provoking questions and hands-on demonstrations. Interspersed with marvelous footage of real-life examples, fabulous scenery, and interviews of ICR scientists, the DVD shows viewers the evidence for purposeful design all around us. And the attributes of the Great Designer are “clearly seen, being understood by the things that are made” (Romans 1:20). Young people today are exposed to an unprecedented amount of influence from the secular world. But much of what they see and experience undermines the biblical worldview. Too often, their questions about creation and science are left unanswered…and many walk away from faith altogether. We believe resources like Unlocking the Mysteries of Genesis, designed to appeal to this generation in a way never attempted before, are necessary to be effective witnesses for Christ in the world today. Unlocking the Mysteries of Genesis is a truly groundbreaking 12-part DVD series that presents compelling scientific evidence confirming the truth found in Genesis. Designed to help the Church engage the next generation, this innovative series will dispel the myths surrounding creation and evolution and equip young people with answers that affirm and defend their faith. A few generous supporters provided the necessary seed money to launch this major project. ICR is currently in production on the remaining 11 episodes, and, Lord willing, we hope to complete the series later this spring. But we need your help to finish the course. Please consider making a generous gift today to help ICR complete this unique media project. For more information and a preview of this new series, please visit www.UnlockingTheMysteriesOfGenesis.org. Your tax-deductible donation will make a bigger difference than you might imagine—and will be put to effective use in reaching this generation for Christ. As always, we only move forward as God provides through you. Thanks in advance for your help. Cite this article: Henry M. Morris IV. 2014. An Evening at ICR: Reaching This Generation for Christ. Acts & Facts. 43 (1).